This book is unique and very handy for the Astrologers to look into the profession and lifestyle of an individual as per Brighu Naadi Astrology. 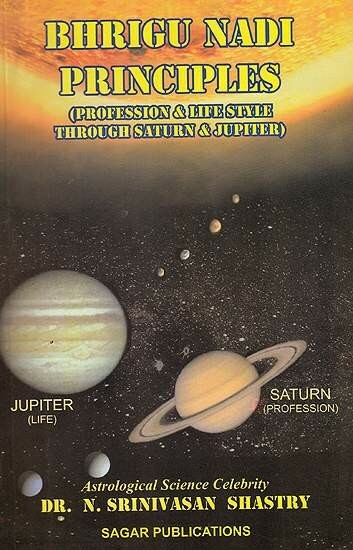 The author has given different methods to know the type of profession, date of entering into the profession etc., by using the placement of Saturn. The case study given in the book is for easy learning the techniques of knowing the pattern of an individual?s profession. In the second part the author has given the guidelines for the readers to know the lifestyle and achievements of the individuals by studying the distance of Jupiter from the other planets. The Author in his book has given easy and precise methods to know the happenings of the incidents in an individual?s life by observing the planets touched by the transiting Jupiter. Author?s main aim is to provide the readers easy methods for precise predictions of profession and lifestyle of an individual.